One of the best-loved dance shows in the world returns to The Queen Elizabeth Theatre in 2019. 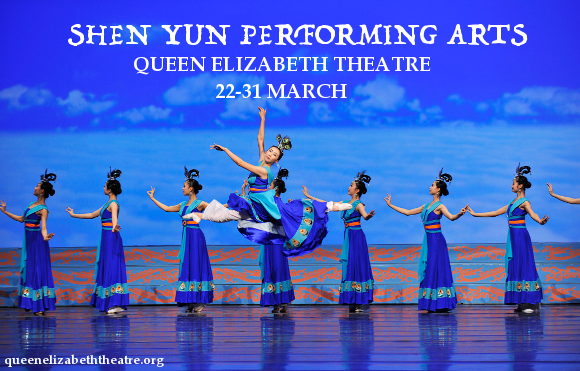 Ladies and gentlemen, prepare to welcome the dancers of the Shen Yun Performing Arts – bringing Chinese culture and spirituality to a massive audience through the medium of dance, costume and music. Get ready for a show unlike anything you’ve ever seen before – this show sells out, so get your tickets NOW while they last!! Founded in 2006 by members of the Falun Gong spiritual discipline, the non-profit, independent Shen Yun company, banned in their homeland of China seeks to share the “divine,” Chinese culture with the world apart from the freedom of Communist rule, in a show that has grown over the years to become recognised the world over. 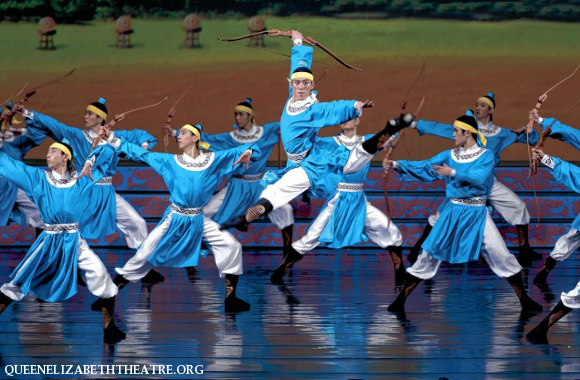 The Shen Yun Performing Arts is renowned to the extent that it draws talent from across the globe to perform at its shows, including winners of international competitions in dance, choreography, and music. 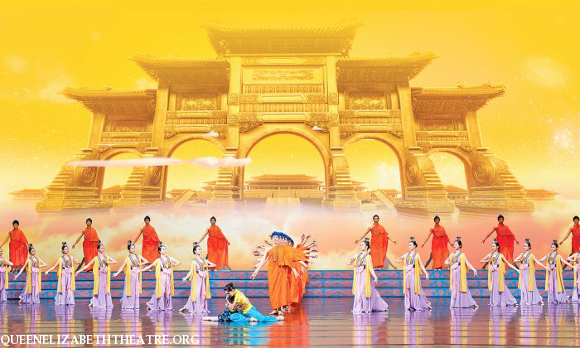 The Shen Yun Performing Arts performance focuses on Buddhist and Taoist influenced culture and stories, told through dance. Dance, of course, is Shen Yun’s selling point, and most of the show is centered around a few types; Chinese Dance, Folk and Ethnic Dance, and Story-Based Dance. The Chinese Dance focuses on a specific classical form of dance, built on traditional aesthetics and passed down over thousands of years through ancient plays and imperial courts. Over generations, it was developed and refined into the art form known today. The Folk and Ethnic Dance sections explore the traditional dances of the various cultures existing within China and around China’s borders, including dances originating Tibet, Mongolia, and Dai County. The Story-Based Dances do exactly what you would expect; telling traditional Chinese stories and fables through the medium of dance, an artform that transcends language. The selection includes classical tales well-known to the Western world such as that of Mulan and general Yue Fei, stories with messages and morals relevant to the modern day. A live orchestra provides a stunning score inspired by both Chinese and Western music. A full Western orchestra carries the power of Shen Yun, while traditional Chinese instruments, including gongs, pipa and errhus set the scene and map out the melody over the Western strings, brass, woodwinds and percussion. The result is a highly dramatic and exquisite sound that is unique to Shen Yun, to the extent that the orchestra has toured independently of the dance performance! Breaks in the dance are illustrated with song in Chinese and solo erhu playing. The costumes are exquisite, with brilliant colours and elaborate designs that will impress you nearly as much as the twists and turns of the talented dancers wearing them. The props and set pieces are just as beautiful, as is the animated background with which the performers interact, cleverly interweaving traditional and digital media to grant audiences unique access to a lost Chinese culture. Two hosts direct the onstage action to the audience in both English and Chinese. Morality and message are at the core of Shen Yun’s otherwise dance and arts-focused spectacle; the story of a group of individuals oppressed by the Chinese government, only able to express their artform outside of China in the Western World. It’s an unmissable show – don’t miss it!